Have you ever wondered about what theme you should decorate your boys room? 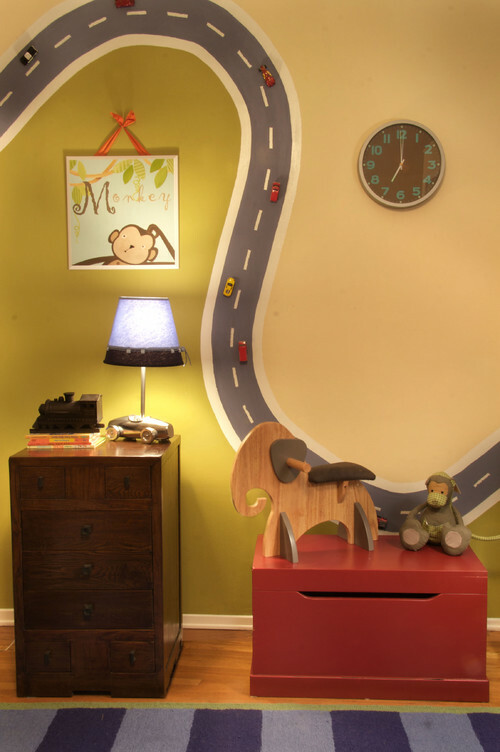 Create An Exciting and Fun theme In Your Child's Room? 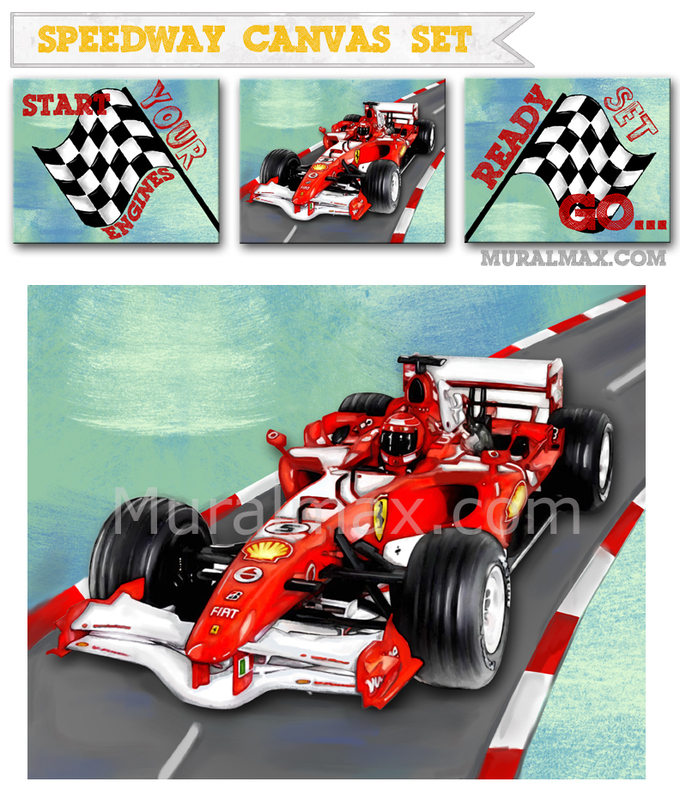 The Race Car Nursery theme is one of our customers favorites. 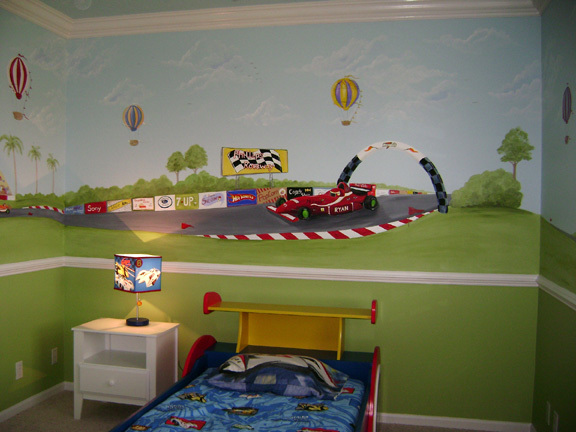 All little boys love race cars and would enjoy having a bedroom decorated with a race car theme. This Themed room for boys is exciting and fun, but it still has a timeless feel and room to grow. 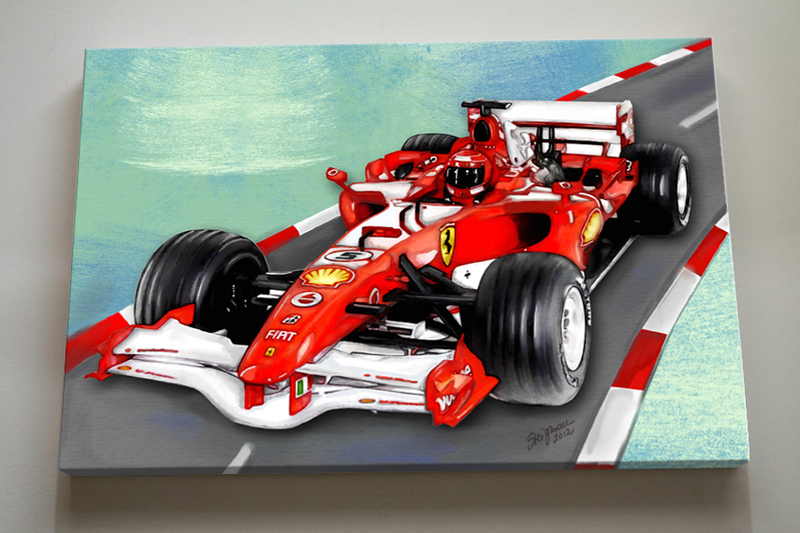 Great way to Accessorize your boys themed room is to add canvas art. This is a real simple easy way to bring this theme alive. Paint the road with magnetic paint and add magnets to the cars... Great idea for a Playroom or nursery,and any boys room. thanks for sharing..I appreciate all the work you put into this site, helping out others with your fun and creative works.